If you’re feeling a few aches and pains associated with getting older, it’s time to consider adding a tub and shower combo to your home. Even if you don’t have any mobility concerns today, why not have something in place that could save strain on your joints? 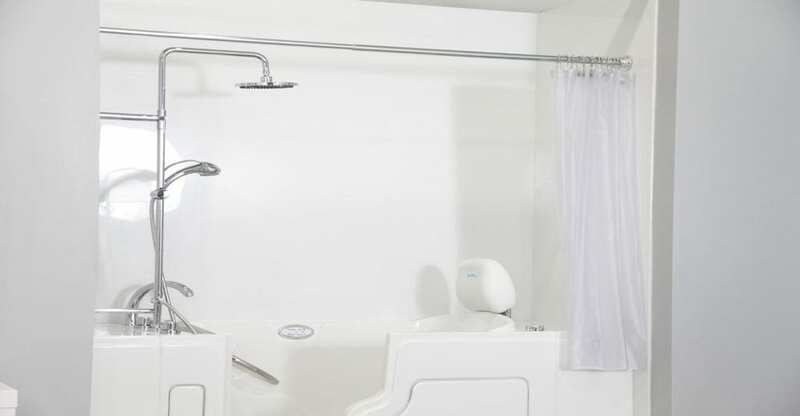 Read on to learn about the benefits of shower bathtub combos that work in any household. Modern tub and shower combinations are attractive. If you think you’d be buying something that resembles what is found in long term care facilities, you’ll be surprised. The tub resembles a whirlpool bath or spa. The showerheads in these tubs look just like what you’d find in a standard tub and shower set-up, except they aren’t attached to the wall. The best thing about them is they fit into any design style and don’t take away from your home décor. Shower tub combos allow a person to age gracefully. Maybe you’re just beginning to have mobility issues. Or, perhaps you don’t have any mobility issues at all but you’re looking ahead to a time when it won’t be as easy for you to step over the sides of a tub. Today you feel agile and don’t mind getting in and out of the tub or standing long enough to enjoy a hot shower. Your friends, and even your doctor tell you the day is going to come when your joints will ache more. But not today! Even so, it’s better to be proactive rather than reactive. Installing a shower bathtub combo before you have mobility concerns means you can take your time and age gracefully. Some people love taking baths. Others prefer showers. Some family members can’t use standard bathtubs while others can bathe in anything. Tub or shower, it doesn’t matter if they have hot water. Perfect for families who take care of elderly parents or grandparents, this innovative bath fixture means every member of the household can bathe or shower safely and comfortably. Being able to offer easier access to a tub may mean elderly family comes to visit more often. Also, if you know an elderly family member will be moving in with you in the future, why not go ahead and install a tub and shower combo now rather than scrambling later for a quick solution? What often happens when a person gets older and needs to make accommodations in their home is they install several fixtures and appliances designed specifically for people with mobility issues. Sometimes bathtubs are completely removed and replaced with a walk-in shower. It’s easy enough to buy a shower chair for people who can’t stand long enough to shower. As long as the person owns the home, it works, and no one thinks much of the fact that there are no tubs. At some point the house goes on the market for sale and a realtor points out that the lack of bathtubs may mean a decrease in home value. Installing a bath shower combo means the house is attractive to a wider range of buyers. Young families usually want a bathtub and may shy away from homes that don’t have one. Don’t put off safety and comfort any longer. 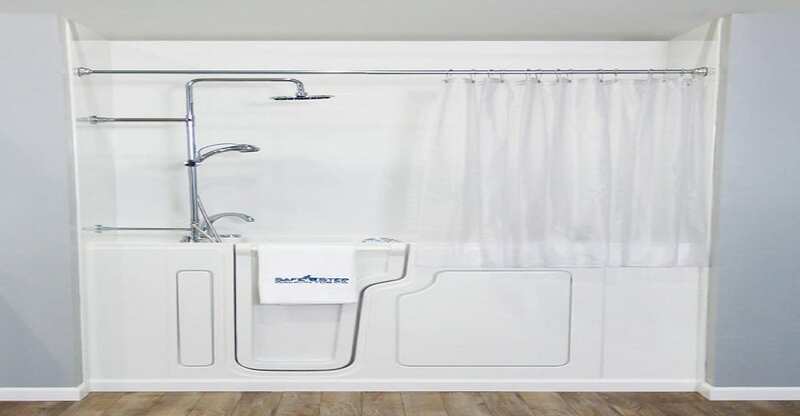 Safe Step Walk-In Tub Company offers an attractive solution with their tub and shower combos. Made in the USA, these shower bathtub combos may be the key to aging gracefully right in your own home. Call Safe Step Walk-In Tub Company today and discuss which one is right for you!